Decades Network, the multicast TV network from Weigel Broadcasting Co. and CBS Television Stations, announced a month long salute to timeless TV comedy with the Decades Comedy Binge. 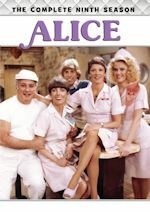 This December, Decades will present continuing "binge-style" episodes of a wide variety of classic TV comedy series every weekday from 2:00 pm/ET to 1:00 am/ET, and all weekend long beginning Saturdays at 1:00 pm/ET. 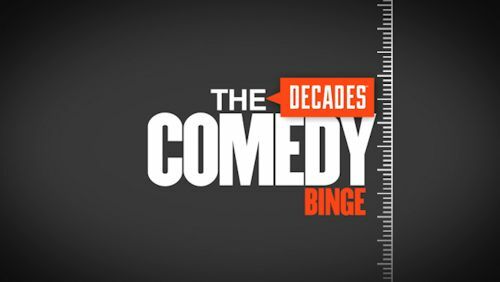 The Decades Comedy Binge kicks off on Monday, December 5 and continues everyday through New Year's Day, Sunday, January 1. To find out where to watch Decades, viewers can visit Decades.com. Building on the strong audience reaction to the Decades Cop Show Binge in November, this December the Decades Comedy Binge will again bring a singular month-long programming theme to the network's daily schedule, offering episodes from 23 of the greatest TV comedy series ever produced. 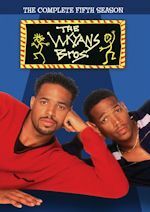 Viewers are invited to travel back in time to rediscover a collection of hilarious comedy gems spanning several decades of TV entertainment. Every weekday the Comedy Binge will spotlight multiple episodes from different series, as they present Our Miss Brooks, The Phil Silvers Show, I Love Lucy, The Lucy-Desi Comedy Hour, The Lucy Show, The Many Loves of Dobie Gillis, The Beverly Hillbillies, Gilligan's Island, The Brady Bunch, Get Smart, Love, American Style, The Mary Tyler Moore Show, The Bob Newhart Show, M*A*S*H<, The Abbott and Costello Show, The Donna Reed Show, Car 54 Where Are You?, My Three Sons, The Patty Duke Show, Family Affair, The Doris Day Show, Gomer Pyle USMC and Square Pegs. 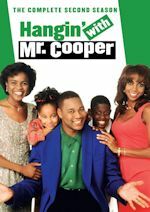 For the week of Dec. 5-9 , 2016, we have many current sitcom stars and past sitcom stars on TV talk shows! All times listed are Eastern. So get your DVRs (or whatever you use) ready! Ready? Here is all what you need to know for the coming week! Will Smith (The Fresh Prince of Bel-Air) - Watch Will on Jimmy Kimmel Live! at 11:35pm on ABC. Steve Harvey (The Steve Harvey Show) - Steve visits The Tonight Show Starring Jimmy Fallon at 11:34pm on NBC. He will also be on ABC's Good Morning America sometime between 7-9am. He chats with the ladies of The View on ABC at 11am ET/10am CT-PT. Jason Bateman (Arrested Development/The Hogan Family/It's Your Move) - Jason visits The Late Show with Stephen Colbert at 11:35pm on CBS. He will also be on ABC's Good Morning America sometime between 7-9am and on LIVE! with Kelly, so check your listings. Gael García Bernal (Mozart in the Jungle) - Gael is a guest on The Late Late Show with James Corden at 12:37am on CBS. Emmanuelle Chriqui (Entourage) - Emmanuelle drops by Last Call with Carson Daly at 1:35am on NBC. Steve Agee (The Sarah Silverman Program) - Steve appears on @midnight on Comedy Central at midnight. The Cast of Fuller House - The cast of Fuller House are guests on The Ellen DeGeneres Show, so check your local listings. Patricia Heaton (The Middle/Back to You/Everybody Loves Raymond) - Patricia stops by Harry, so check your local listings. Miss Piggy (The Muppets) - Miss Piggy and Harry perform Deck the Halls on Harry, so check your local listings. Meredith Hagner (Search Party/Men at Work) - Meredith is a guest on Harry, so check your local listings. Lauren Graham (The Odd Couple/Conrad Bloom/Townies) - Lauren appears on Rachael Ray, so check your local listings. T.J. Miller (Silicon Valley/The Goodwin Games/Carpoolers) - T.J. talks about Office Christmas Party on the AOL Build Show at 3pm. He will be on New York Live on WNBC in New York at 12:30pm ET. He can also be heard on The Morning Mash Up on SiriusXM at 9:50am. Bradley Whitford (Happyish/Trophy Wife) - Bradley is a guest on Access Hollywood Live, so check your local listings. Josh McDermitt (Retired at 35) - Josh can be heard on The Morning Mash Up on SiriusXM at 10:45am. Erinn Hayes (Kevin Can Wait/Guys with Kids/Worst Week) - Erinn talks about Kevin Can Wait on the AOL Build Show at 4pm. Chris Pratt (Parks and Recreation) - Catch Chris on The Tonight Show Starring Jimmy Fallon at 11:34pm on NBC. Abbi Jacobson (Broad City) - Abbi is a guest on Late Night with Seth Meyers at 12:36am on NBC. Anna Camp (The Mindy Project) - Anna is a guest on Last Call with Carson Daly at 1:35am on NBC. Molly Shannon (Divorce/Kath & Kim) - Molly appears on Conan at 11pm on TBS. Ilana Glazer (Broad City) - Ilana guest co-hosts LIVE! with Kelly, so check your listings. Kathy Griffin (Suddenly Susan) - Kathy is a guest on Steve Harvey, so check your local listings. Olivia Munn (Perfect Couples) - Olivia will be on ABC's Good Morning America sometime between 7-9am. Josh McDermitt (Retired at 35) - Josh appears on the AOL Build Show at 1:30pm and on New York Live on WNBC in New York at 12:30pm ET. Queen Latifah (Living Single) - Queen Latifah chats with the ladies of The View on ABC at 11am ET/10am CT-PT. Peyton List (Bunk'd/Jessie) - Peyton is a guest on the AOL Build Show at 12pm. Emmanuelle Chriqui (Entourage) - Emmanuelle appears on Access Hollywood Live, so check your local listings. Valerie Bertinelli (Hot in Cleveland/One Day at a Time) - Valerie appears on The Talk on CBS at 2pm ET/1pm CT-PT. Leah Remini (The King of Queens/Family Tools/The Exes) - Leah is a guest on The Wendy Williams Show at 2am on BET or on your local stations. T.J. Miller (Silicon Valley/The Goodwin Games/Carpoolers) - Watch T.J on Jimmy Kimmel Live! at 11:35pm on ABC. Lily Tomlin (Grace and Frankie/Malibu Country) - Lily appears on The Late Late Show with James Corden at 12:37am on CBS. Melissa Rauch (The Big Bang Theory) - Melissa is a guest on Conan at 11pm on TBS. Chris Pratt (Parks and Recreation) - Chris visits ABC's Good Morning America sometime between 7-9am and LIVE! with Kelly, so check your listings. Jane Lynch (Angel from Hell) and Kate Flannery (The Office) - Jane and Kate give a musical performance on Home & Family on Hallmark Channel at 10am ET/PT. Michael Rosenbaum (Impastor/Zoe, Duncan, Jack and Jane) and Mircea Monroe (Impastor/Episodes) - Michael and Mircea are guests on Home & Family on Hallmark Channel at 10am ET/PT. Jennifer Aniston (Friends) - Jennifer and the cast of Office Christmas Party are guests on ABC's Good Morning America sometime between 7-9am. Aimee Carrero (Young & Hungry) - Aimee appears on Access Hollywood Live, so check your local listings. Emmanuelle Chriqui (Entourage) - Emmanuelle is a guest on NBC's Today in the 9am hour. She will be on New York Live on WNBC in New York at 12:30pm ET. She can be heard on The Morning Mash Up on SiriusXM at 10am. Jennifer Aniston (Friends) - Catch Jennifer on Jimmy Kimmel Live! at 11:35pm on ABC. Lola Kirke (Mozart in the Jungle) - Lola is a guest on Late Night with Seth Meyers at 12:36am on NBC. T.J. Miller (Silicon Valley/The Goodwin Games/Carpoolers) - T.J. appears on Conan at 11pm on TBS. Anna Camp (The Mindy Project) - Anna stops by Conan at 11pm on TBS. Emeril Lagasse (Emeril) - Emeril guest co-hosts Rachael Ray and makes sausage-stuffed mushrooms, so check your local listings. Jodie Sweetin (Fuller House/Full House) and Andrea Barber (Fuller House/Full House) - Jodie and Andrea chat with the ladies of The View on ABC at 11am ET/10am CT-PT. Jodie joins the Chew Crew on ABC's The Chew at 1pm ET/12pm PT/CT. Judah Friedlander (30 Rock) - Judah is a guest on New York Live on WNBC in New York at 12:30pm ET. Lori Loughlin (Fuller House/Full House) - Lori is a guest on The Talk on CBS at 2pm ET/1pm CT-PT. She also talks about what to expect from Season 2 of Fuller House on People Now at 8:30am. Scott Patterson (Aliens in America) - Scott talks about Luke and Lorelai’s wedding scene from Gilmore Girls – and if he thinks the two will ever have a baby on People Now at 8:30am. Josh Radnor (How I Met Your Mother) - Josh is a guest on the AOL Build Show at 12pm. Emmanuelle Chriqui (Entourage) - Emanuelle appears the AOL Build Show 3:45pm. Gael Garcia Bernal (Mozart in the Jungle) - Gael is a guest on Chelsea on Netflix. Olivia Munn (Perfect Couples) - Watch Olivia on The Late Show with Stephen Colbert at 11:35pm on CBS. She will also be on The Ellen DeGeneres Show, so check your local listings. Kevin Nealon (Man with a Plan/Weeds/Hiller and Diller/Champs) - Kevin appears on LIVE! with Kelly, so check your listings. Bella Thorne (Shake It Up) - Bella is a guest on a repeat of Last Call with Carson Daly at 1:35am on NBC. 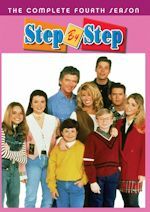 Sarah Michelle Gellar (The Crazy Ones) - Sarah whips up a delicious treat on Home & Family on Hallmark Channel at 10am ET/PT. Richard Kind (Spin City/Mad About You) - Richard is a guest on New York Live on WNBC in New York at 12:30pm ET. Jennifer Aniston (Friends) - Jennifer appears on Chelsea on Netflix.